A computer is much like any other machine – a car, a bike, a house. You need to make sure that there aren’t dirt lying around in the house, or things getting stuck in your engine, and so on forth. You often need to do routine maintenance to keep a PC operating at its best. Here are 5 Free Programs that does some of these to speed up your old computer and make the greatest use from the quantity of memory that is installed on your PC. For people who despair about the their computer too lagging much at launch and don’t know how to start fixing that might look at ms-config to begin with. 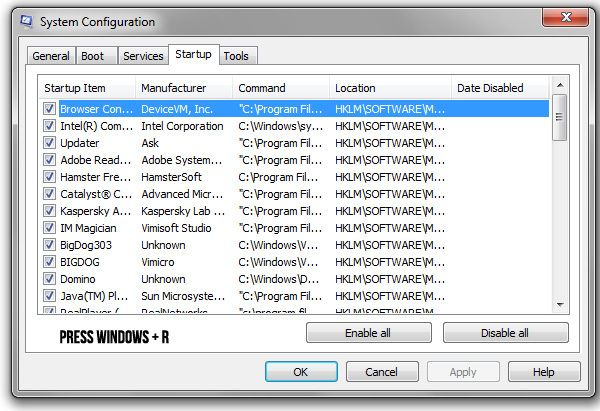 Msconfig can by used by hitting Windows-R, which opens the “Run” command, type “msconfig” and press enter. Under the “Start Up” tab, there’s a summary of applications that launches at Windows start up. If there are a lot of applications to start up once Windows begins to boot, that’s a reason why boot time might be too long – trying to start so many things at once just slows the computer down. Whatever program you feel like is unnecessary feel free to uncheck them. The more applications you stop from loading at boot, the faster it will be. CCleaner formerly known as “Crap Cleaner” is precisely what the software is excellent for. Over time, temporary files are unnecessarily stored on the hard drive. CCleaner removes as much of these as it can so it’s a good idea to run some PC maintenance with this software to remove all those temporary files. 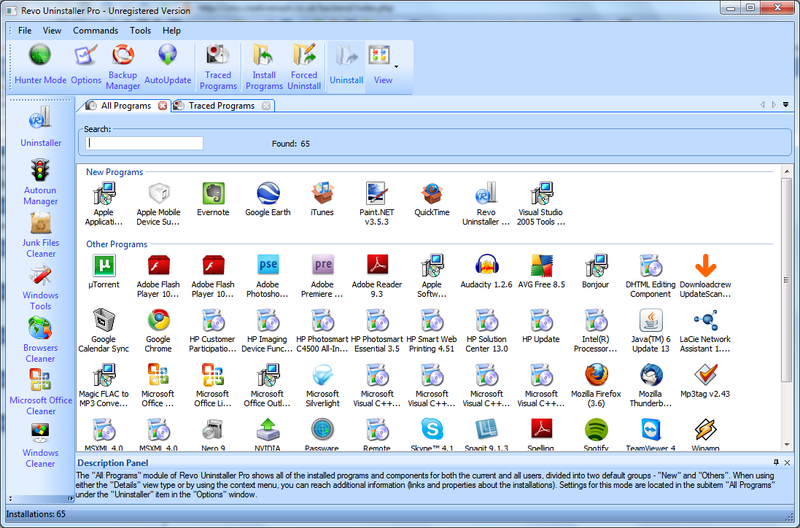 Revo Uninstaller is a really good application – it’s like the Programs and Features thing on Windows, but on steroids. When you uninstall through Revo, it will find and delete everything the program came with, leaving not a single useless thing on your hard drive to slow it down. This is a great program to have. Now that you’ve removed all the junk files from your computer, it leaves gaps in between the data on your hard drive. Though, most often trivial – it helps to defragment the hard drive so that all the files are where they should be for the fastest fetching. 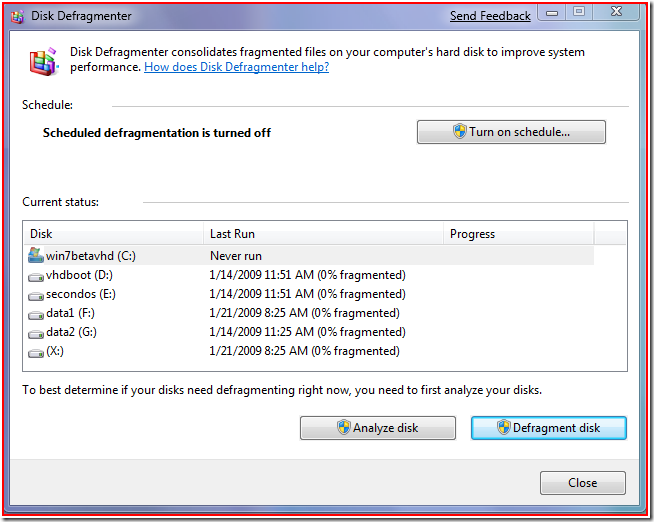 A defragmenter usually comes installed with Windows, just search it and it should come up. Adobe Reader, though, one of the most widely used and popular apps is quite known for its sometime frustratingly slow load times. 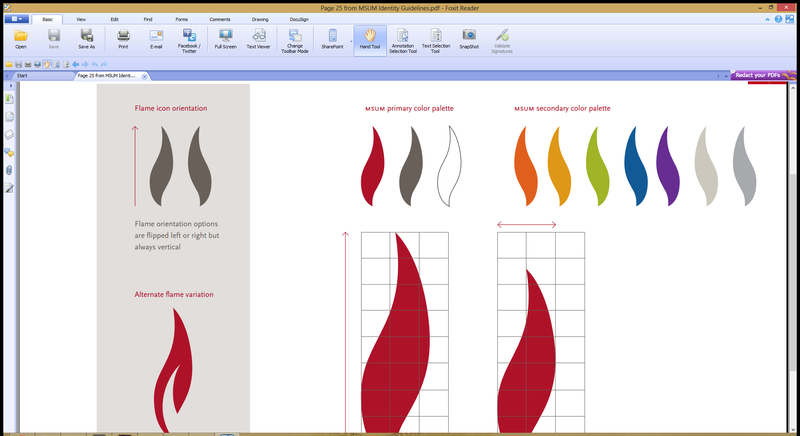 This is where Foxit Reader comes to the rescue – if you don’t mind changing it up a little, give this application a try – it loads even big files almost instantaneously. It also has a faster browser integration. Definitely worth a shot if you want your PDFs to load faster. Roger is a freelance writer that loves to share tech tips. You can have a look at his site on document storage if you want to learn more on this. Reflec Beat Plus: Does It Beat The Competition? Windows 10 free for pirates…but why? Nice list, I use CC Cleaner. I’m using all programs except Revo Uninstaller, will try that, also TuneUp utilities is also very good paid software to make computer run faster. that is one of my favorite tool. I will try the ideas you have shared in order to make my computer faster. Thank you for these great idea you have shared. With MSConfig, be careful about what you uncheck. Of course staying with only the Startup tab as suggested is a safe route. There are some programs you may want to start up with Windows such as your anti-virus, firewall…basically your protection software. Things like DVD checks, Adobe gamma loaders, media players, PDF readers, essentially programs which are not necessary to run your system or protect your computer are okay to remove from your startup. Microsoft’s built-in firewall and security center are good, but they do hog resources and can interfere with some programs. The firewall itself can cause media players to freeze. Disabling the firewall and automatic updates and notifications will reduce background running programs which are big resource hogs, and you can replace with freeware such as AS3 Personal Firewall and use an anti-virus such as the free version of Rising AntiVirus, both of which use few resources compared to other programs of their ilk. You can disable Security Center and Automatic Updates from the control panel, and check for updates manually via Internet Explorer using Windows Update under Tools. Windows uses a portion of the hard drive, a small portion comparatively, for virtual memory, which is essentially an overflow memory to take the load off of the RAM memory. Unfortunately by default, Windows constantly monitors and resizes the virtual memory, and of course this uses resources. Locking in virtual memory, meaning setting the minimum and maximum size of virtual memory to the same value so that it never has to be resized, will free up resources in Windows. You can do this by right clicking on the My Computer icon on your desktop, or from control panel click on System. In the System Properties window that comes up, click on Advanced, then Performance Settings, then the Advanced tab in performance settings. Now you’ll see a box that says Virtual Memory, and click on Change. In the window that pops up, select Custom, then for Initial and Maximum values enter the same value. Since most of us have substantial hard drives now, you should enter the maximum value Windows allows for virtual memory which is 4096 MB for both values. If you have an older computer, and/or small hard drive, enter 2.5 times the amount of RAM your computer has for both values (e.g. for 512MB of RAM, you would enter 1280MB for both values). Then click Set, OK. The window will close, and then in the remaining window click Apply, then OK.
BEFORE you lock in virtual memory, defrag your hard drive using the built-in Windows Defragmenter (Start > Programs > Accessories > System Tools > Disk Defragmenter) or a freeware defragmenter. You need to have your hard drive defragmented or else your virtual memory will end up fragmented, which kind of defeats the purpose of locking it in. Thanks for this huge list of tips! Would help others for sure 🙂 Thanks for commenting Dos! There are some great finds here. I am a big fan of “Freeware”, and if I can find software that will make my computer run better, I am all over it. I currently do use CCleaner to clean the junk files from my pc, and I trust it to clean my registry also. 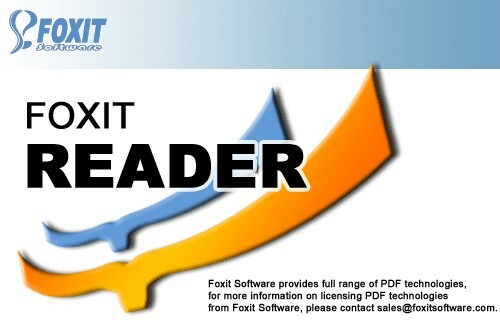 Foxit Reader is what I use to read pdf files. It loads much quicker than Adobe Reader does. I will try the other software that you mention. Thanks for sharing them. Glad to know you found the post useful Larry 🙂 Personally, I would recommend everyone to use CCleaner. It does one hell of a job of making the PC run much faster. I remember once it clearing around 4GB of trashfiles! Wonder what would happen if more were stored ! Good Stuff! Keep ’em coming!